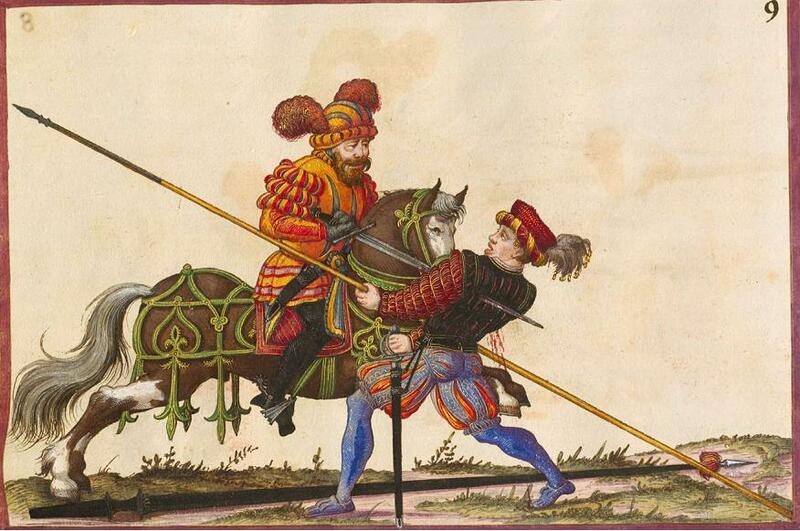 I found quite a few interesting depictions of what seems to be a 16th century fighting manual. 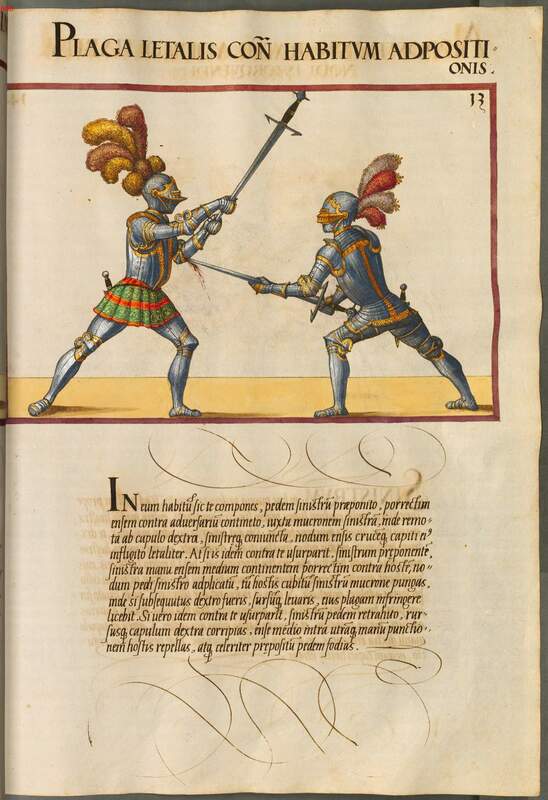 I tried to find it through google image search and viewing a few of the most well known manuscripts but none seem to have the same art style. 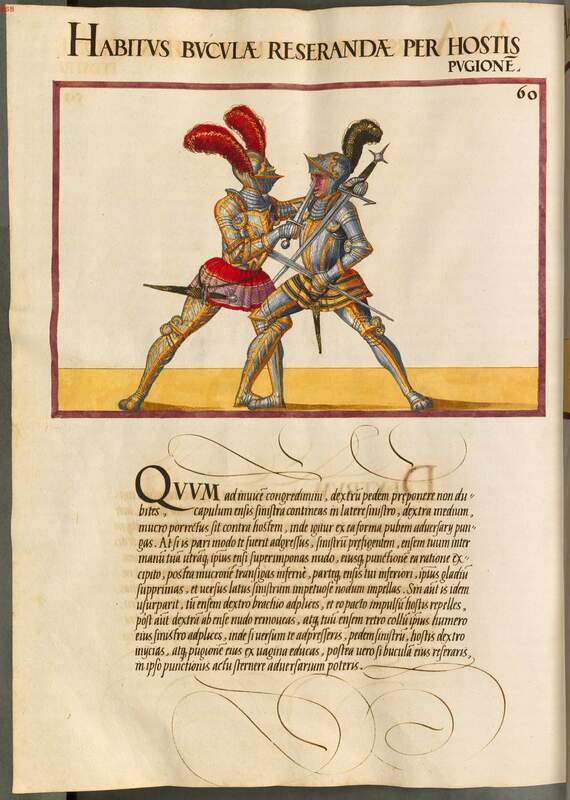 Does anyone know if these pictures are in fact from an authentic fighting manual and if so which one it is? That's "De Arte Athletica " from the middle of the 16th century by Paulus Hector Mair. You can find it online via the Bayerische Staatsbibliothek or on Wiktenauer. It's the so called Munich version. Ah I see it now. The unarmored depictions are very familiar. Rather strange google turned up no results though.